Like many people, I do a lot of my shopping online. With a significant portion of it being from Amazon. If you’re an Amazon Prime member, it’s a bargain, with free and fast shipping. And shopping online is just so convenient. I was looking at my account, and I see that I am shopping from Amazon more and more each year since 2013. I’d say that at least 80% of my holiday shopping was done online. Looking back at my Amazon orders throughout 2017 I definitely have some favorite things. What’s not to love about Under Armour? It’s high-quality workout and loungewear is bar none. 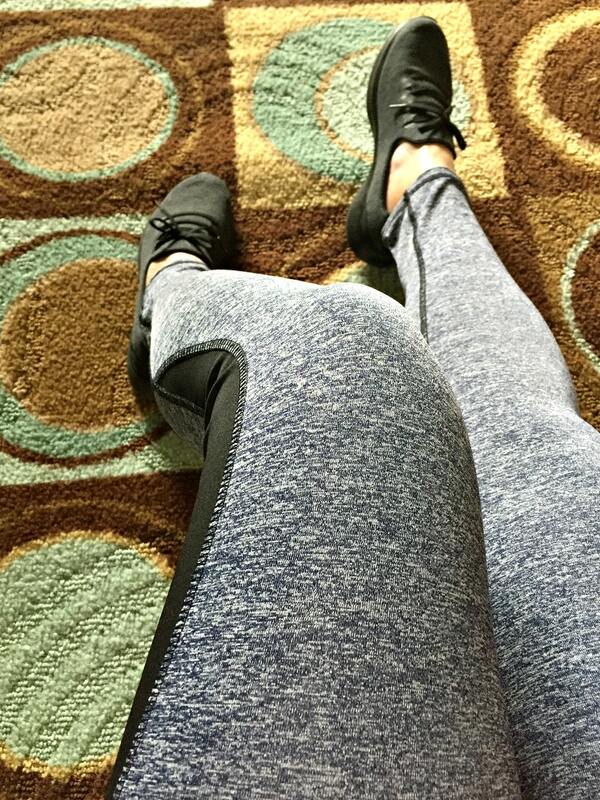 My whole family wears Under Armour all the time… I live in my Under Armor leggings. Under Armour offers versatile pieces that are durable, comfortable, and allow you to move freely. Besides starting with a fresh, clean face, a face primer is the next most important step for the base of a more flawless and perfect canvas for your makeup. 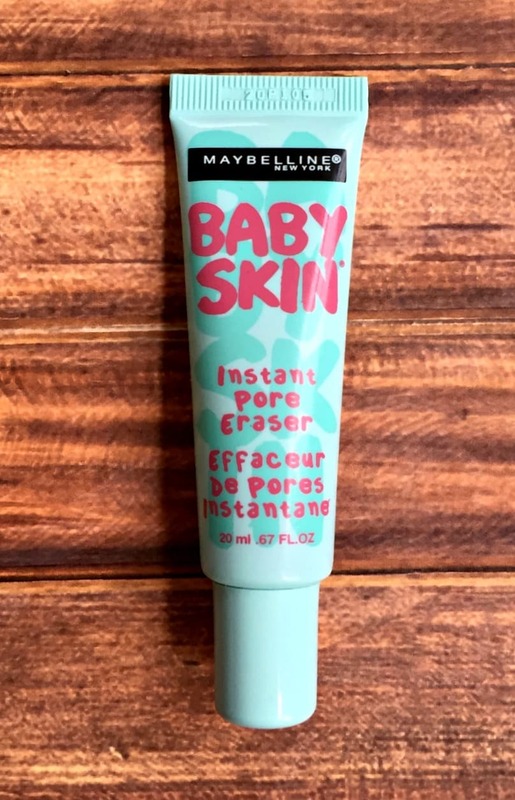 Maybelline Baby Skin Pore Eraser Primer is my favorite primer so far. And I have tried a LOT of face primers. I only discovered Baby Skin about two months ago but so glad I did. I have this primer in my cart right now to order again. I’ve spent a lot of money on primers, so I love that Baby Skin is very economical. Okay, I’m in my early fifties, and until this year I never used an eyelid primer. Let me say, I’ve really been missing out. 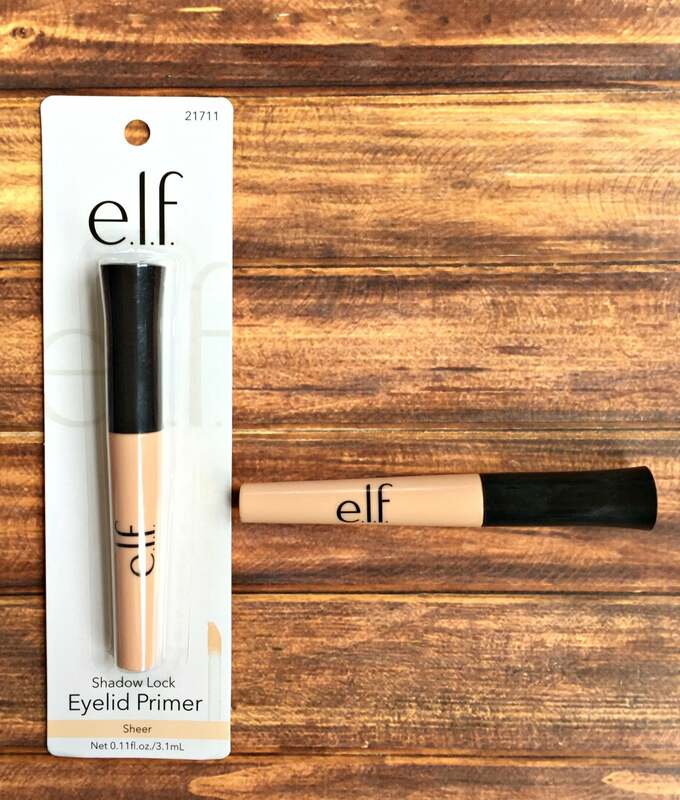 An eyelid primer not only helps your eyeshadow last longer, but it also makes the pigments in your eyeshadow stronger and better. I’ve tried a few different ones and e.l.f. Essential Eyelid Primer is my favorite. I’m about out, so I’ve already ordered another tube. 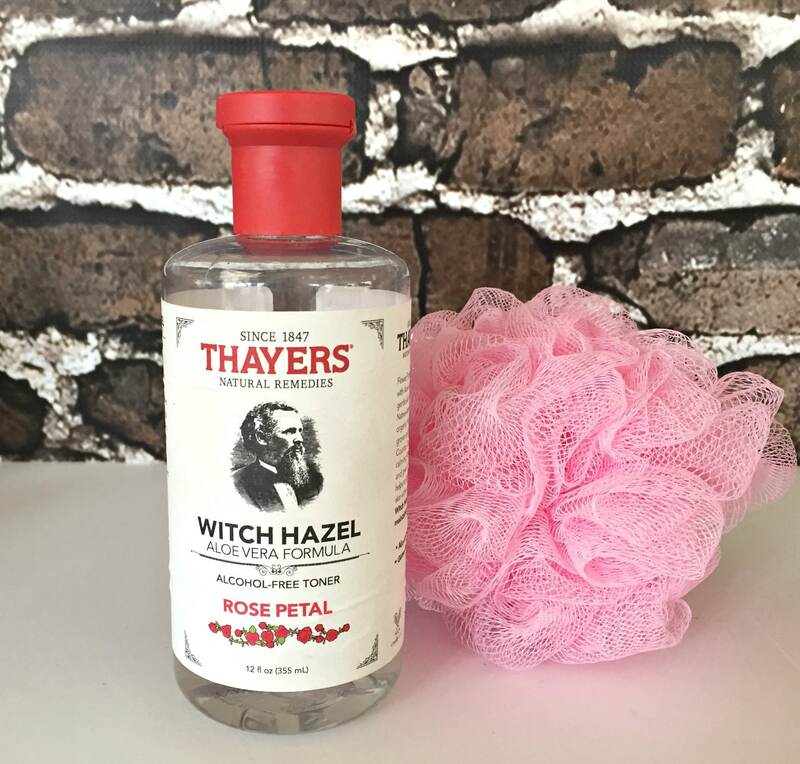 I’ve been using Thayers Alcohol-free Rose Petal Witch Hazel for over two years now. It is by far my favorite toner or astringent ever. It is cheap, lasts a long time, smells good, it’s alcohol-free, and it leaves my skin feeling so clean and soft. I always use a face toner, and I’ve used some pricey ones, but none come close to Thayers. Hands -down one of my all-time favorite things. If you take a lot of selfies, this is a must! 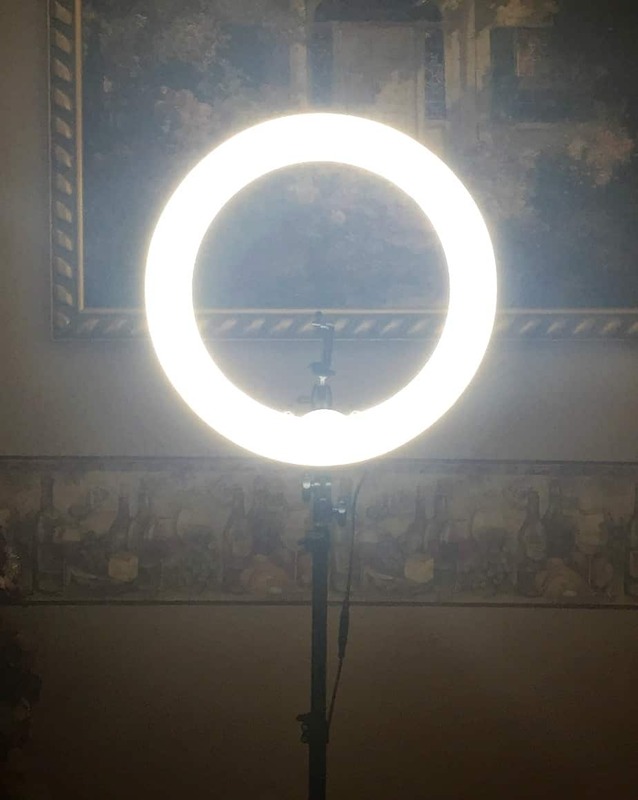 The UINSTONE Selfie Ring Light is extremely easy to use and will help you to look your absolute best for your selfie pics. It’s a bargain, too. Besides these beauty tips to look younger, a selfie ring light is a great way to look younger. 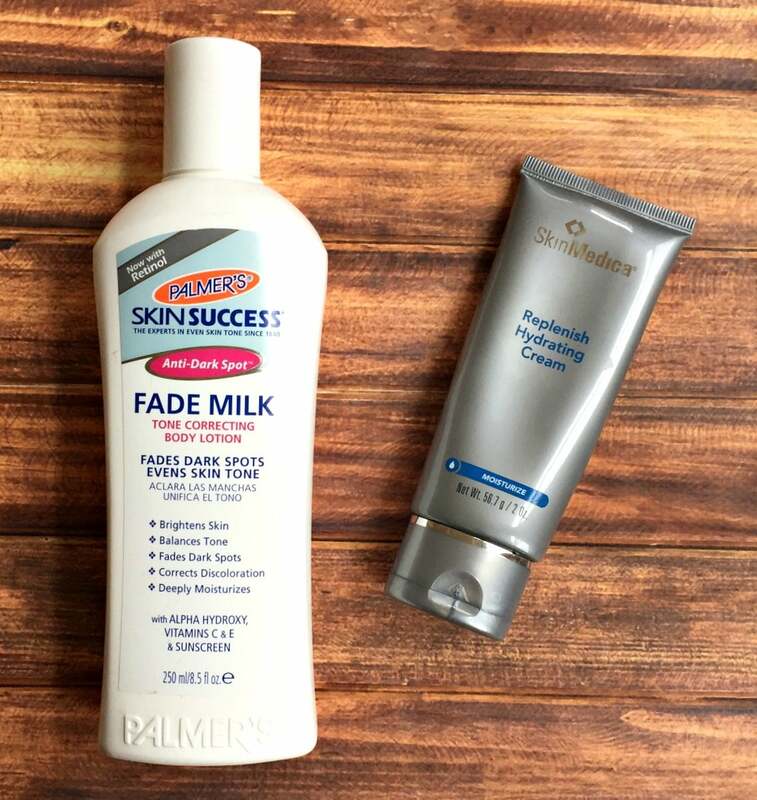 If you have sunspots or age spots Palmer’s Skin Success Eventone Fade Milk does a fantastic job at fading them. I had a lot of both sun spots and age spots on my face and hands, and Palmer’s Fade Milk worked. Quickly. And it lasts forever. Right after I do a chemical peel, I use SkinMedica Replenish Hydrating Cream. I apply SkinMedica to my face 2-3 times a day for at least 5 days after my peels. I also use it at night once or twice a week as my weekly nighttime beauty regime. About once every 2-3 months I do my own chemical peel using REVITABOOST PEEL Anti-Aging Peel Pads. I’m working my way up to doing the peels once a month. I love the convenience of the pads. It makes doing your on chemical peel at home so easy, too. I see a big difference in my skin, and it’s much cheaper than going to a dermatologist or spa for a chemical peel. I love beanies, especially with these frigid cold temperatures we’ve been experiencing. 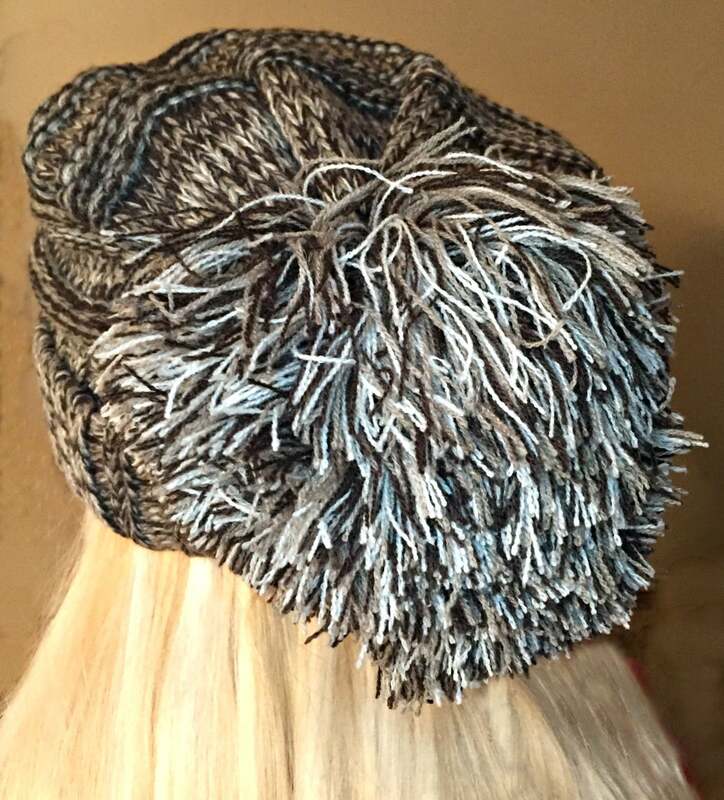 This CC oversized slouchy beanie is so warm and cute. I’ve bought several beanies, and this one is my fave. Whether I’m lounging around the house, exercising, running errands, or actually doing yoga, these Prolific Health Women’s yoga pants are so comfortable and figure flattering. I mean I could live in yoga pants or leggings, so they have to be comfy. If you know me, you know I love Skechers. I have a lot of trouble with my feet, especially if I do a lot of walking or aerobics, so my workout shoes or sneakers have to be comfortable and supportive. If I’m doing a lot of walking, these Skechers Performance Women’s Go Walk 4 shoes are one of my favorites. I love mascara! If I could only have one makeup product, it would be mascara. And I really have tried a lot of different brands of mascara. In fact, I used to be a direct sells rep for a particular beauty brand for their mascara. However, the more I used it, the less and less I liked it. 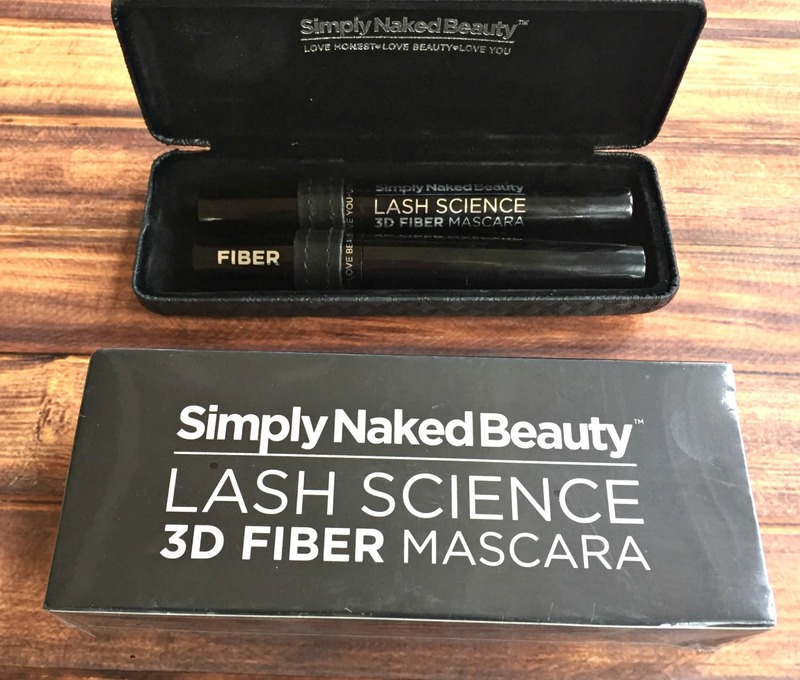 BUT… the Best 3D Fiber Lash Mascara by Simply Naked Beauty is everything I could ask for in a mascara. It’s also cheaper. As much as I wear mascara, the price of this 3D fiber lash mascara is a real bargain. I’ll share pics of me wearing it soon and add them to this post. I’ve also bought this 3D mascara four times now. 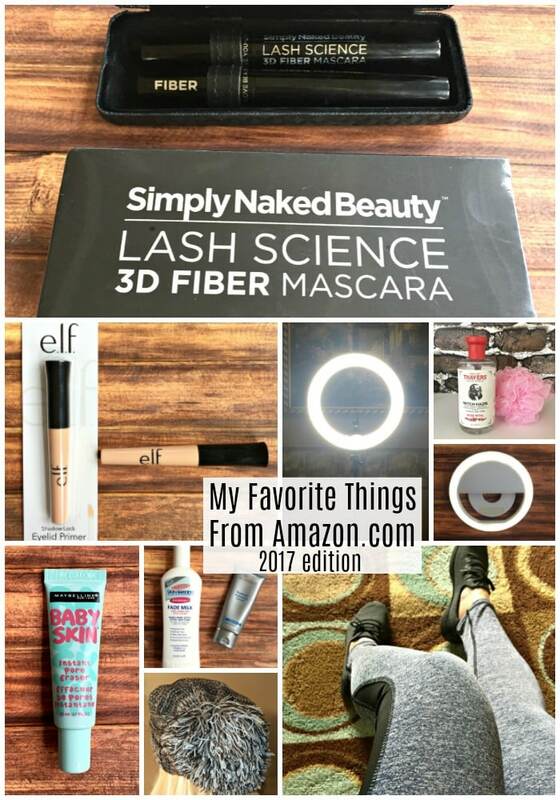 This 3D fiber lash mascara is easily one of my top favorite things. If you are a blogger, I cannot recommend the Neewer Camera Photo Studio YouTube Video Lightning Kit more. 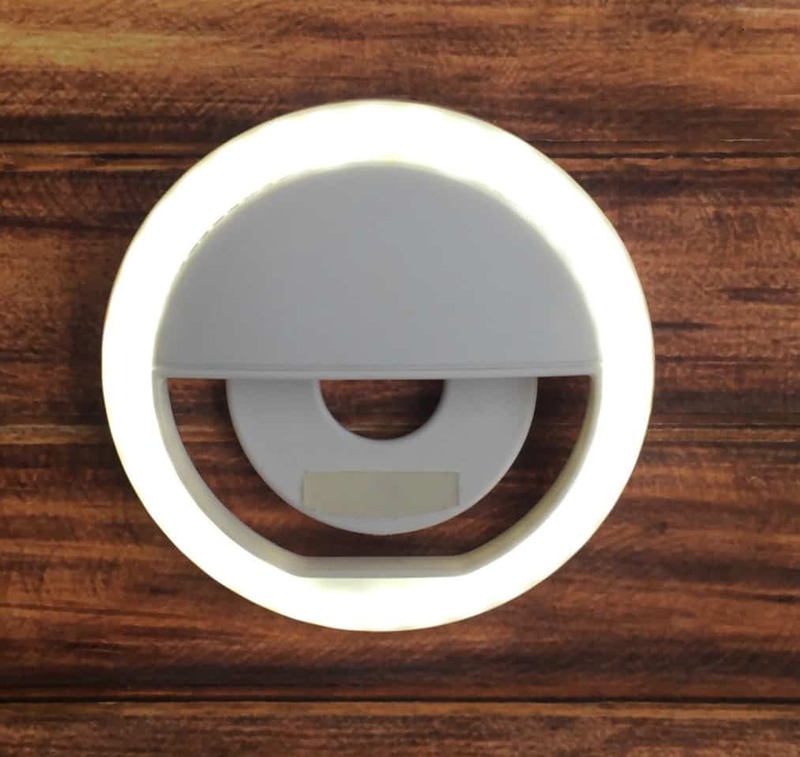 Even if you’re not a blogger but maybe you like to do Facebook lives, then this ring light is for you. You can check out this video I did recently that I videoed in a dimly lit room at night to see how great this ring light works. Plus, good lighting really does help you look good (or in my case, better). I have a lot of other things on my favorite things list you can find here, and I’ll update this list with photos and my opinions soon. But for now, I truly love each of the above products and highly recommend them!